Diabetes and weight gain are often linked, with people assuming that weight gain leads to diabetes, without truly understanding the relationship. 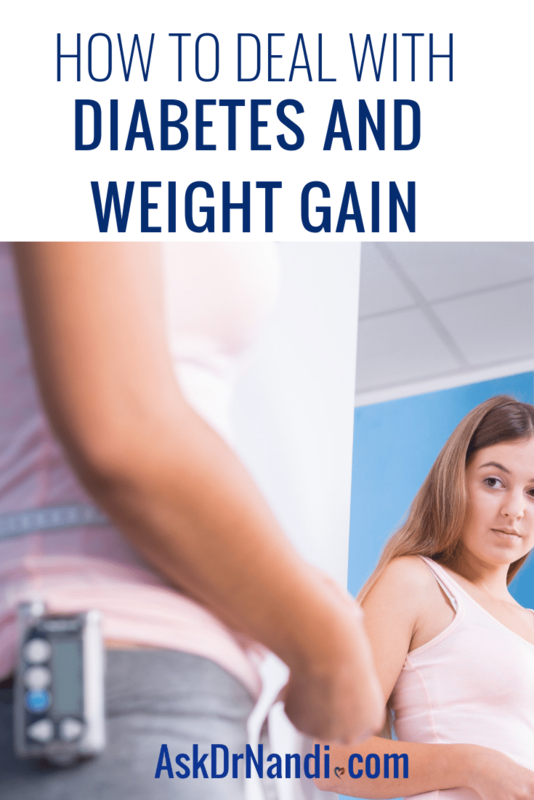 Reducing stress, increasing physical activity, and eating healthy all help you to lose weight, regardless of whether or not you have diabetes, but these will still also work for those with diabetes and pre diabetes. Please make an appointment with your dietitian if you need help creating a balanced meal plan for yourself. Don’t try fad diets as these can be worsen your diabetes. Stock your pantry and refrigerator with healthy choices. Test your blood sugar before you eat, and then two hours later to find out what effect foods have on your body. Everyone is different and you might not necessarily react the same way to certain foods as someone else. Having a healthy diet can also be a protective factor against many other health problems including heart disease, hypertension, and autoimmune disease. Speak to your doctor, nurse and your medical team about how they can help you on this journey. Know that you’re not alone and you don’t have to try to maintain a healthy weight alone. Support is out there, you just have to access it. Meeting with a registered dietitian with expertise in both diabetes and weight control can help give you the kick start you need. If you want to ensure maintaining a healthy weight, please keep moving. The American Heart Association recommends at least 150 minutes of exercise each week for adults. This breaks down to roughly 30 minutes of exercise five days a week. You could join a gym to help you reach your goal, and maybe hire a personal trainer, or you could simply go for a walk, go for a bike ride, dance around the house, or even try gardening. All of these activities can help with your goals of keeping a healthy weight. If you feel like two and a half hours a week is too daunting, start small. Taking a brisk walk for five or ten minutes a few times a day will add up, and any amount of activity is better than none. Two types of physical activity, in particular, are key, according to the American Diabetes Association: aerobic exercise and strength training, and they recommend doing a mixture of the two types each week in order to maximize results. Not only can regular exercise help with weight loss, but it can also be a protective factor against other health issues. Studies show that those participating in higher levels of physical activity have a reduced likelihood of developing a variety of different illnesses compared to those folks who engage in lower levels of physical activity. Unmanaged diabetes can cause weight loss, so it’s only natural that when you get it under control, you’ll put some weight back on. Try not to forget that your body is just replacing what diabetes caused you to lose. In addition to this unexplained initial weight loss, one of the symptoms of untreated diabetes is polyphagia, or excessive eating or appetite. When you get used to eating whatever you want, whenever you want, and not worrying about portion sizes, it can be difficult to get back into healthy habits. We’ve all had the kind of stressful day that leads to us reaching for the carton of ice cream in the freezer or looking at the candy aisle for something to cheer us up. Unfortunately, comfort eating is one sure fire way to gain weight, and play havoc with your blood sugar levels. Finding a different way to unwind can be very useful in helping you lose weight. Try mindfulness exercises, or even something like yoga, which will help you get your exercise in while also relaxing you. Try to keep stressful situations to a minimum whenever possible. It’s critical to use medications appropriately. Make sure to discuss your medication needs with your doctor before making any changes. 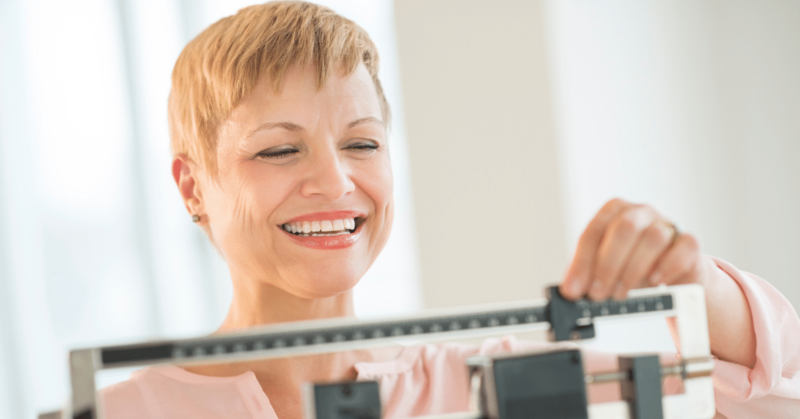 Weight management and diabetes can go hand in hand. It may seem challenging but it’s absolutely possible. Get the help, guidance, and support you need and know that this isn’t something you have to embark on alone. Ask Dr. Nandi is an Emmy Award-winning physician talk show that digs deep into medical topics. Partha Nandi, MD FACP is a practicing gastroenterologist in the suburbs of Detroit, Michigan. using 12 of my favorite healthy, delicious and filling superfoods!